Microsoft sales of the Surface RT have been pretty disappointing, but the company must have had some incline of this. Many early reviews and first looks at the Surface had confusion and unhappiness with the limited operating system and poor app ecosystem. Another problem with the Surface RT was the price point, at $499 it was tailored as an iPad competitor. Both operating systems have the same sort of functionality, not running PC applications, but Apple has a huge content ecosystem and Microsoft does not. The operating system isn’t limited, but many are just confused as to why Windows would come without PC applications. The main problem we see with Windows RT is it still has the original desktop, get rid of that and you have the perfect tablet interface, without any view of the desktop. There has been some developers working on apps for Windows 8 and the RT OS gets these apps, so the content is starting to come to Surface. 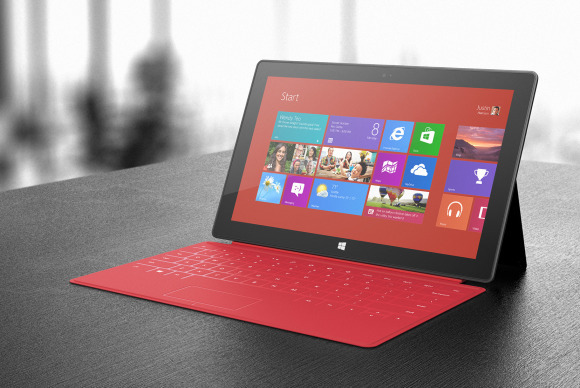 In our view the main goal for Microsoft is to get the Surface to a good price point. Microsoft has listened to these calls for a cheaper device and when discussing Surface on the earnings call, they claimed that Surface will come to whole new price points, more specifically near the Android-based Kindle Fire and Nexus 7. We hope that this lower cost Surface will still include the great hardware standard set by Microsoft. We loved the design of the Surface, even though it was a little wide. In our view, a cheaper seven-inch model would be perfect. What we don’t want to see is huge restraints on the cheaper version. We want to see Microsoft may an effort to compete, not just send out the device and say “look, its $200 cheaper”. The Kindle Fire and Nexus 7 are both very good devices, made by two very talented companies, to go up against them will take something very unique and well designed.